Facebook is reportedly testing a stand-alone application called Notify, which allows users to see notifications from select publishing partners. A successful Notify app–or maybe a notification pass-through for the Facebook app itself–which would let users select publications or people or, in their language, “stations” and “substations” to follow, would represent the creation of another sort of space: one that was previously inhabited only by Facebook’s own notifications, but which exists within Apple and Google’s notification interfaces. People are conditioned to get notifications from Facebook, which sends billions a day, as well as from news organizations—The New York Times’ app’s notifications are considered a hugely important part of the company’s digital operation. Anyway, this app is apparently launching at the end of the month, or somewhere around there? A bunch of publications are testing it out and getting assertive feedback from Facebook about post frequency, type, etc. 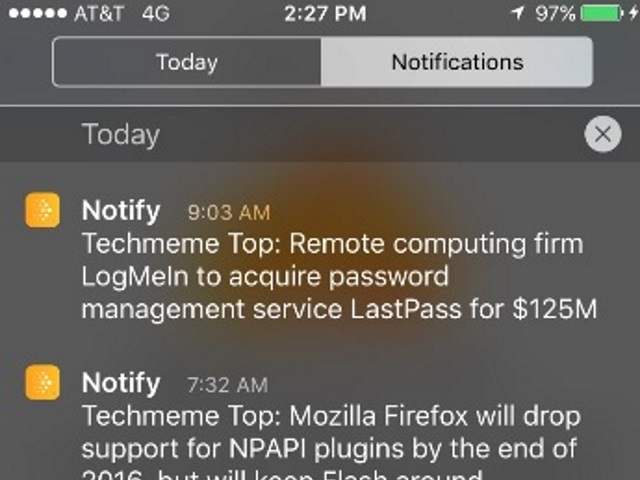 Readers: Would you use Notify if Facebook rolls it out?